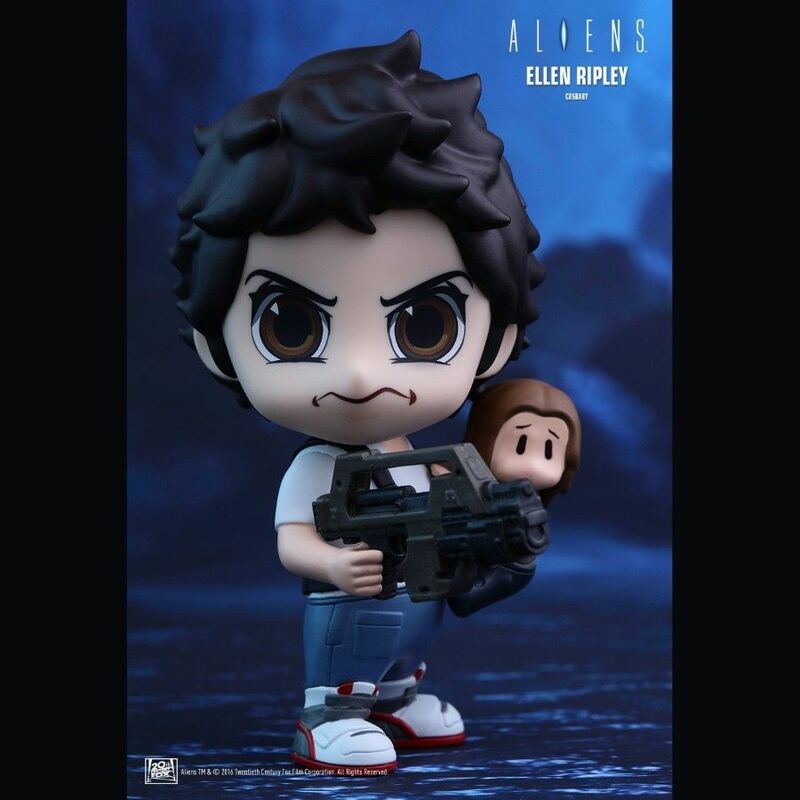 From the Hot Toys brand of highly detailed Cosbaby collectible mini figures we bring you Ellen Ripley from the Aliens range. 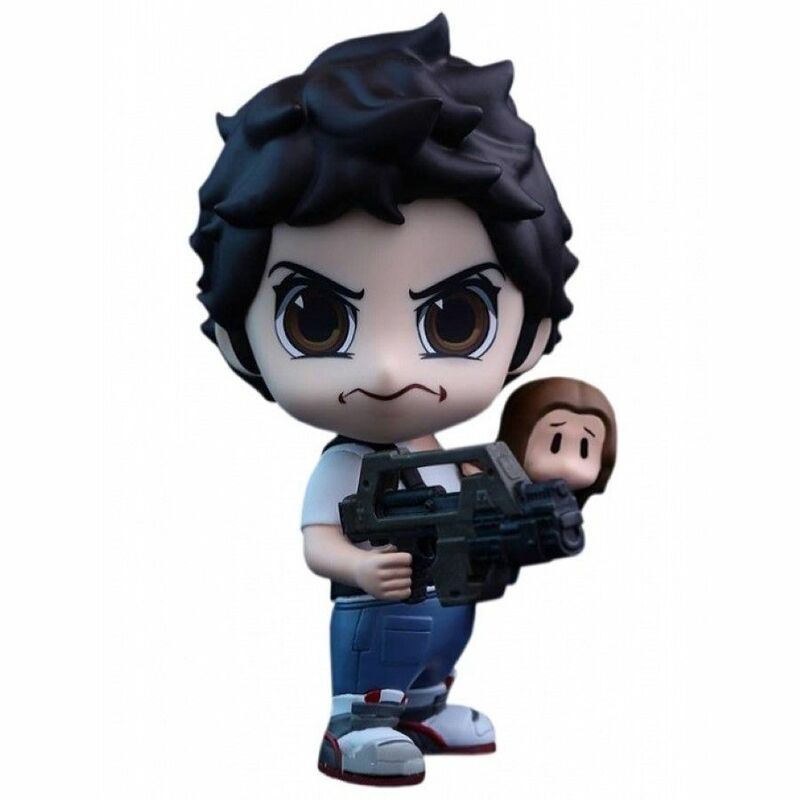 From the Hot Toys brand of highly detailed Cosbaby collectible mini figures we bring you Ellen Ripley and Newt from the Aliens range. 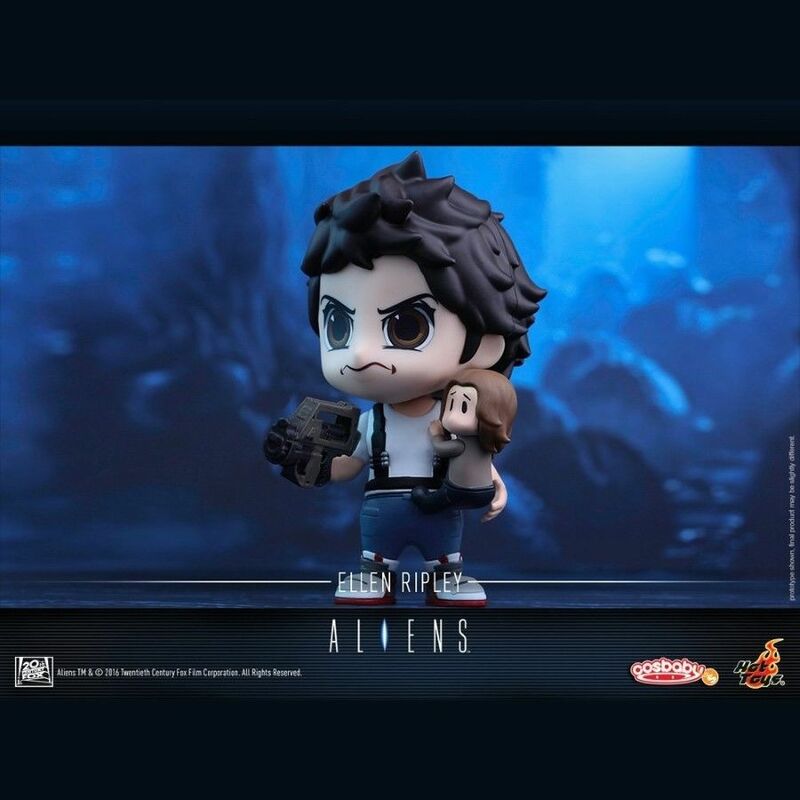 This officially licensed Aliens mini figure of Ripley has a rotatable bobblehead, comes with a mini Newt and Assault Rifle and stands approx. 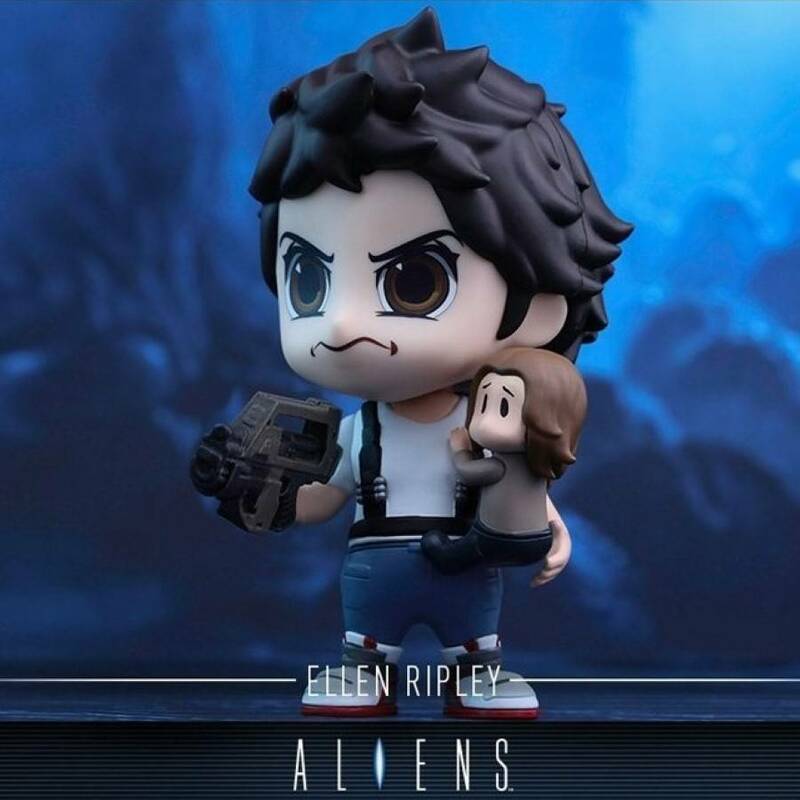 10 cm (4") tall.